If you've never experienced the John Beargrease Sled Dog Marathon before, let us give you a few good reasons why you should venture up to Cook County, MN for the event! 2) The route often changes from year to year. Weather can determine the starting line and the route that is safe to take. Some years there is not enough snow on the Lake Superior side of the Sawtooth Mountain ridgeline, other years the lakes are not safe. One guarantee is that at least 50% of the race occurs in the communities of Cook County MN thanks to our reliable northern landscape. See this year's current trail map. 3) It is a tough race. While it is a qualifier for the infamous Iditarod Trail Sled Dog Race in Alaska, some mushers claim that the Beargrease is a more challenging race due to the Sawtooth Mountains unique geography and elevation changes on the route. 4) Dogs like the cold. These furry athletes thrive in colder temperatures that are usually at or around 0F. Sled dogs have a dual fur coat, a dense undercoat to keep them warm. And a more course outer coat to protect them from wind, snow, and water. Of course there are times when they need their down coats and booties, but not quite as often as the biped friends.  5) It’s one of two premier dog sled racing events held in Cook County MN. The Gunflint Mail Run provides an excellent warm up to the big race and a great team testing ground for several new mushers. Discover the next big name in mushing at the Gunflint Mail Run, held annually in January. 6) A classical music song cycle has been written about the race. What truly sets this race apart from others is that it inspires adventurous and creative types alike! Robin Eschner, a 2014 McKnight Foundation visiting composer through the American Composer Forum wrote the Crazy Cold Beautiful the John Beargrease Song Cycle . Download a complete 2019 trail map to see out the mushers throughout the weekend here. Find a complete estimated checkpoint schedule here and start planning your trip.